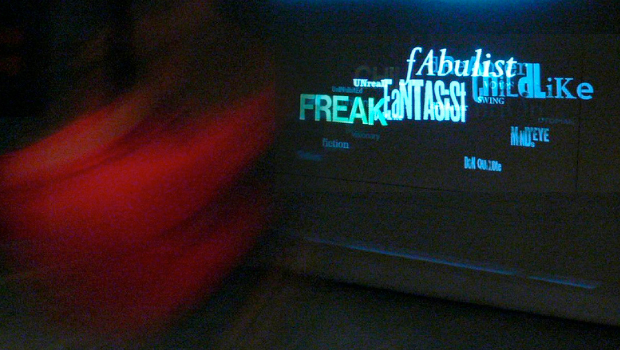 The Imagination and Insanity Swing acted as the controller for a type-based video projection. The theme of the project was imagination as it relates to reality, creativity and insanity. Swinging forward brought up new words relating to the positive creative side of imagination, swinging backwards brought up words relating to insanity and maladjustment. All the words of a single swinging session stayed on the screen as new words poped up, fading in and out with the motion of continued swinging.